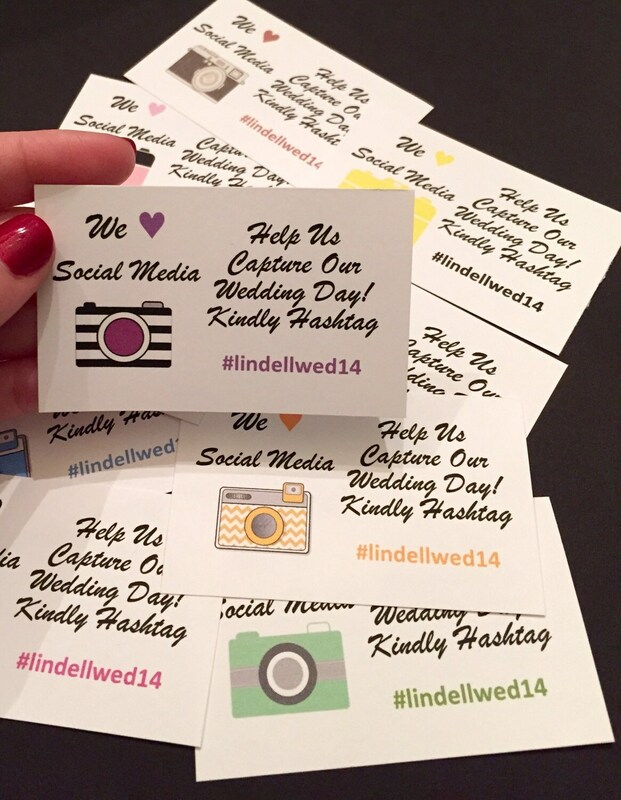 Hashtag your wedding with these Social media wedding cards! 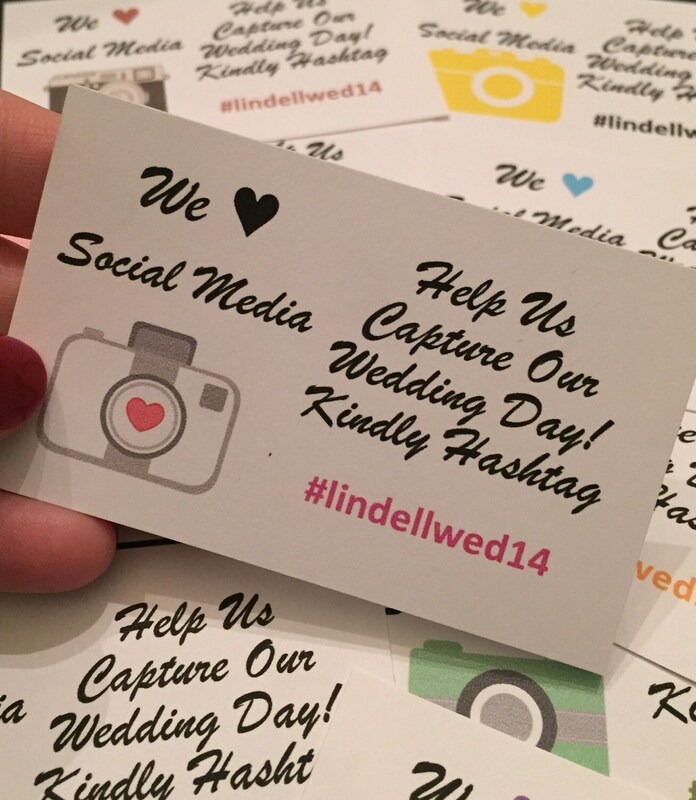 Each card can be placed at the guests' seats and they will surely post your wedding pictures all night long! 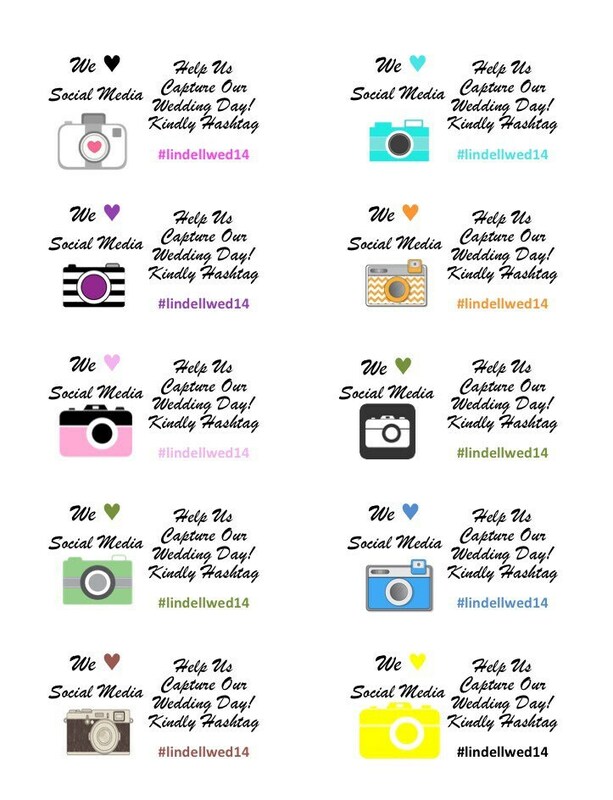 A great feature for modern day weddings! Also cute if added to the wedding invitations! Thank you for your super fast delivery!!! 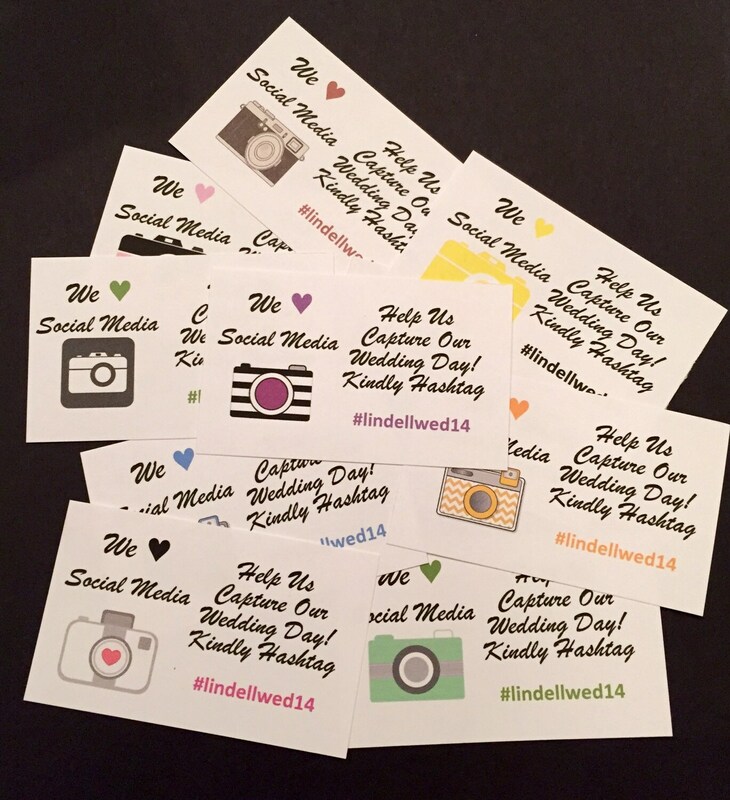 I am so happy with my hashtag wedding cards. I messages Alyssa prior to ordering to get a custom listing. Not only was she able to customize it for me, but she responded to my request right away. I had my cards customized & ordered in a matter if minutes. They were delivered in a timely manner as well. I would definitely do business with Before The Rings again.